I've written about my love for journals and my belief in their importance for people's lives as well as for those of future generations before in a past blog post . I think that they're important and I think that they can have a great deal of use and significance in someone's life depending on how they are used. Even if you've never thought of writing a book, a journal is a terrific way to explore your creativity and you'll be surprised how fast it fills up once you get started. I've filled up many over my lifetime with everything from rambling thoughts to short stories, poetry, lists and more. Today I'd like to introduce you to three journals that have caught my eye and the sellers shops who carry them and a wide variety of other beautiful journals as well. Baghy on Etsy is filled with beautiful journals handcrafted and bound in leather to delight the eyes and senses. 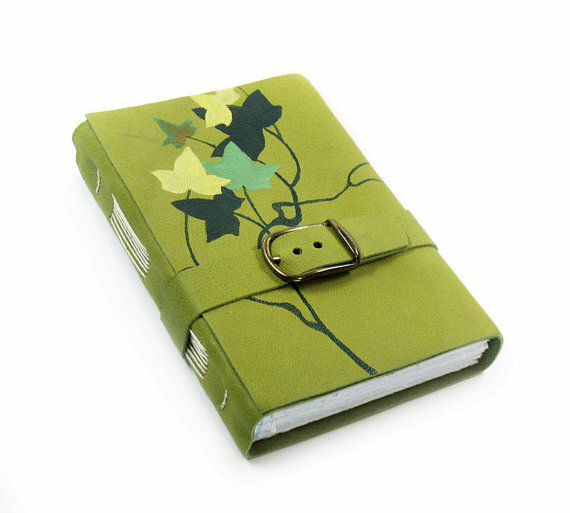 I'm particularly drawn to this one done in green with it's beautifully hand-painted ivy leaves and buckle closure. All the journals have unique, earthy designs that draw the eye and, in my experience, calm the soul as well as inspire one to open them every day and add a little more to their contents. Heaven Sent Crafts on Etsy is filled with recycled journals and notebooks made from items such as board game boards, coasters, floppy disks and more. I own the notebook pictured here in this feature that's made with coasters and can personally vouch for the quality of workmanship offered in this shop. 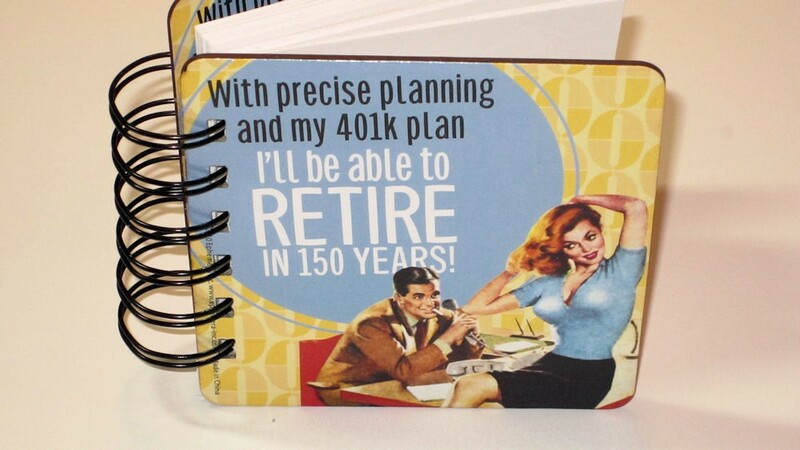 I love my little notebook and it's fun design and originality get compliments wherever I go. Unique and carefully handmade, each of the journals and notebooks found in Kreativlink on Etsy have an aesthetic appeal that draws you in. 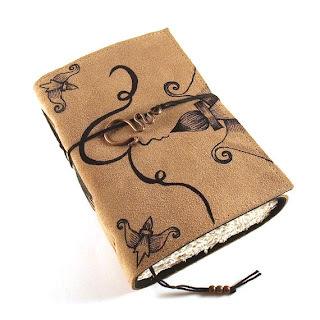 Original artwork decorates the covers of these handmade leather and fabric journals, many of which are made with hand torn pages for an authentic, handcrafted appeal. Some are earthy, others are mystic or just have an artisan appeal such as the one I like that's pictured here titled "BRUSH". Whether you're a writer, a list maker, an artist that needs a place to sketch your ideas or you just have a love for journals in general, there's plenty of beautiful handmade options to choose from like those introduced here in this post and lots more that you can find on the handmade marketplace. 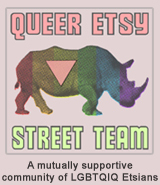 Be sure to stop by places like Etsy and Artfire to explore these venues for what they have to offer! Happy to be mentioned in this blogpost, thanks! Thank you so much for including my journal here :) I am very proud to see my work featured on such a lovely blog!